The superb new album from Scottish pop partisans Bubblegum Lemonade is the perfect reminder that old school indiepop never goes out of style. ‘The Great Leap Backward’ begins with the pulsating rhythms and big fuzzy chorus of ‘Hit The Ground Running’ and the post apocalyptical pop of ‘The Last Girl’ complete with jangling guitars, Shakespeare quoting, and beautiful vocal harmonies. Meanwhile, first single ‘Beard On A Bike’ is a pop classic, going straight for the jugular with an instantly catchy tale of a psychopath on a cycle path. ‘The Only Constant Is Change’ delivers contemplative pop with amusing word play and a constantly evolving vocal melody, while ‘Wishing It Were Friday’ is a prospective radio hit with plenty of pop culture referencing and some breathtaking 12-string guitars, and ‘Straight To The Heart Of The Sun’ has a more pensive feel with acoustic strumming, tambourines, and clever paraphrasing of the Boss. Side two kicks off with the driving and assured title track ‘The Great Leap Backward’ with its Dr. Feelgood inspired opening riff and confident instrumentation. ‘Tongue Tied’ is another ace single contender with racing guitars, witty lyrics, and a fuzzy pop chorus, while ‘Summer In Your Hand’ is chiming, reflective pop with a fun psychedelic guitar solo. 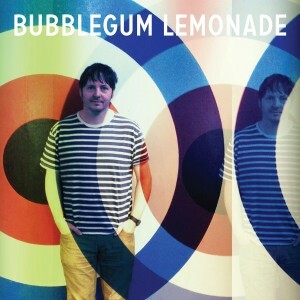 Sporting extraordinarily catchy songs, spectacular melodies, and intelligent lyrics, ‘The Great Leap Backward’ is another modern pop classic for the impressive Bubblegum Lemonade catalog.